K-12 public school districts are easily one of the most complicated organizations in the country, and achieving interoperability is no trivial thing for a district. The team at Kimono has deep expertise in this area. With more than 15 years of working with school districts and developing integration solutions for education, we understand how to make complex integrations simple. Choose from a growing number of industry-standard data models, infrastructures, and APIs to securely exchanging data between your SIS and other applications. 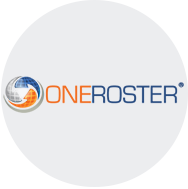 OneRoster is a data standard for securely sharing roster, course, enrollment, and grades data. Kimono is a member of the OneRoster Product Steering Committee. 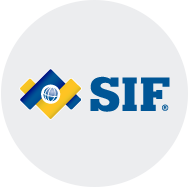 The SIF standard is a very broad data model that allows connected applications to share event-based data. Kimono participates on the A4L Board of Directors. 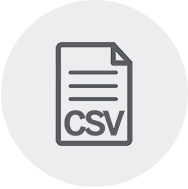 Kimono enables you to utilize custom CSV imports and exports – so you can have automatic rostering for those apps that have not adopted a data standard. Our new partnership with ClassLink allows customers using Kimono Directories and SIFWorks Directory Manager (SDM) to upgrade to ClassLink at a significantly reduced price, adding single sign-on for thousands of applications, while keeping familiar student information system (SIS) integration, provisioning, and rostering features. 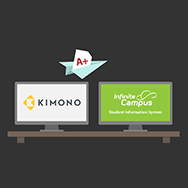 Infinite Campus, the most trusted name in student information, is excited to announce that Kimono, an interoperability platform, is now a Grading Services Partner. This partnership integrates Infinite Campus student information system (SIS) with a connection through Kimono to Kimono-supported learning management systems (LMSs). 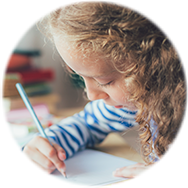 The Kimono Grades App works with SIF, OneRoster v1.1, and more, and is saving educators a tremendous amount of time. Teachers can send grades from the LMS back to the SIS or gradebook with just a couple clicks. 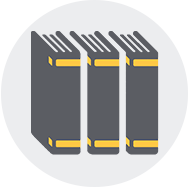 A library management system makes accessing educational resources more efficient, and with Kimono’s Follett Destiny Integration, provisioning library accounts and sharing real-time data is fast, easy, and accurate. New students can begin their library experience within seconds of registering, and library staff can stay focused on important tasks. 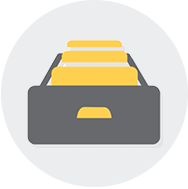 IMS Global’s OneRoster specification is quickly catching on in K-12 as the data standard for securely sharing roster, course, and enrollment information between systems. 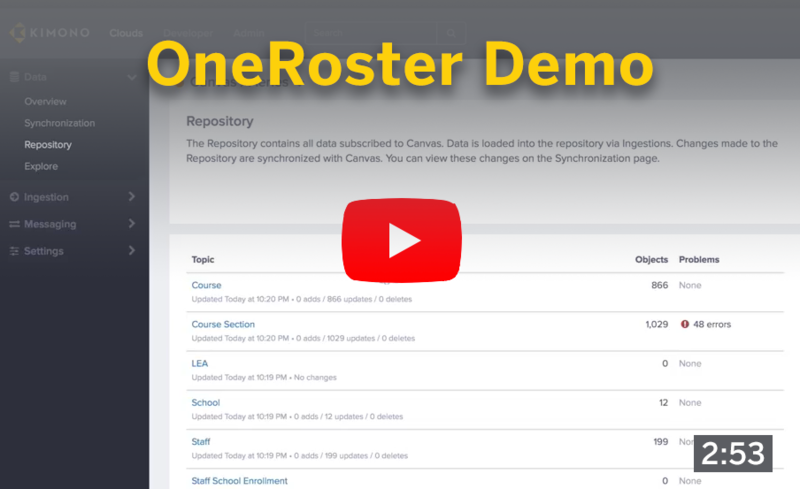 The upgrade to OneRoster v1.1 includes four primary enhancements: it enables you to synchronize grades, associate students with digital course materials, add start and end dates, and import data faster. See how easy it is to synchronize data and identify and fix errors using OneRoster v1.1 in Kimono. By switching from our self hosted state ID system to Kimono's hosted state ID solution, we have saved time and money. We also use Kimono's G Suite Integration to keep our student accounts in Google up-to-date on a daily basis, which greatly reduces the amount of admin time the techs have to spend with Google Admin. It’s all about the time – we can have kids enroll in PowerSchool and quickly show up in other systems. It saves us a lot of time and we know everyone has the same data. Grade passback is especially helpful when students re-submit work that is auto-graded, like a quiz. There really isn't a way for the teacher to know that the grade changed and needs to be updated in Aspire, so having the grade automatically updated is perfect in most cases.